As part of the stabilisation solution, CAN is able to design and install slope drainage solutions for a variety of slopes. 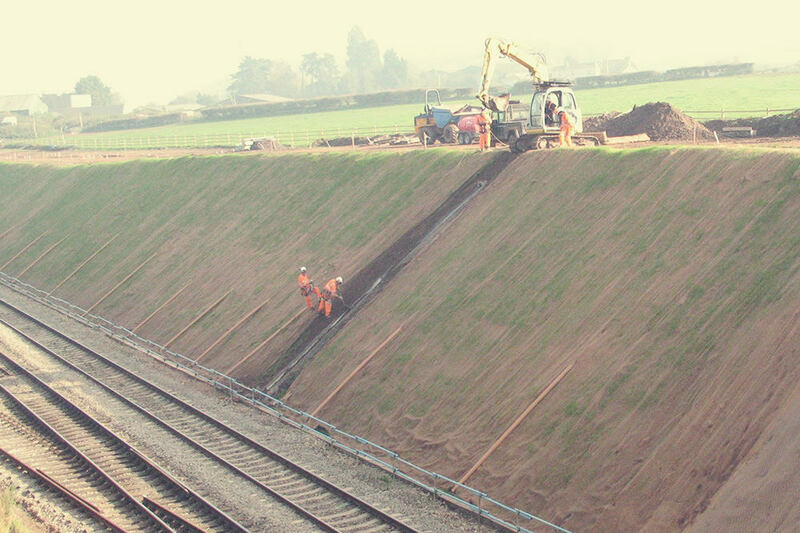 The provision of slope drainage is an important part of ensuring the future stability of a slope. To clarify, it reduces groundwater levels and allows water to run off without causing damage to the slope or facilities below. Upwardly inclined drains or drilled drains may be installed within drill holes at any location on a slope. These comprise of perforated pipe with an outer geotextile filter layer. This allows the pipes to intercept specific areas of seepage. These drains are usually in the range of 65mm to 95mm in diameter and may be in excess of 20 metres long. Counterfort drains are cost effective. But nevertheless require mechanised plant access to remove soil and place significant quantities of drainage stone. CAN uses long reach excavators to maximise the potential for this drainage technique on long slopes. Where rigid concrete facings are constructed, we pay particular attention to the back wall drainage systems. Installing vertical drainage composite with filter wrap in conjunction with a plentiful supply of weep holes. Cut off crest drains and existing watercourses may need controlling and routing safely down slopes. In such cases, CAN installs open channel drains. These are constructed in pre-cast or sprayed concrete or we provide secure pipe runs with thrust blocks. If you would like more information on Slope Drainage.